Spring, can’t you just smell it in the air? Flowers are blooming, birds are chirping! New life and new vibrant, exotic colors everywhere! No more bundling up in warm clothes, staying indoors or setting up the thermostat higher. This is the time to go out and play, time for family, for spring break, time for luscious, juicy, delicious berries. No wonder its called the king of seasons! This is also the season for Easter, when we have get together with our loved ones, delicious food on the table, some chilled wine, and plenty of conversation. What is the perfect accompaniment to all this you might ask? Food of course! Whether its Easter ham, or a hearty roast, food makes everything better. But you don’t want to be slogging in the kitchen the whole day making the perfect roast, and then go back to the kitchen to bake dessert when you have company over now do you? So, if your oven is already occupied, and you want to make a delicious dessert, then keep reading. 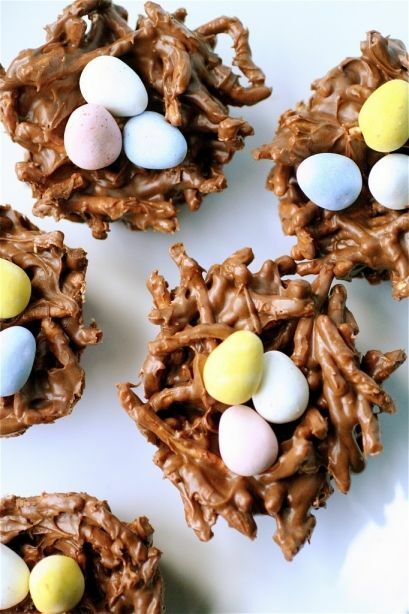 Here is a list of 10 best no bake Easter desserts recipes that are easy. They are a treat, and you will have dessert checked off from your menu in no time! This is a easy and yummy dessert that require practically no chef level cooking skills. All you need is some oreo, some custard, some whipped cream, layer it up and done! 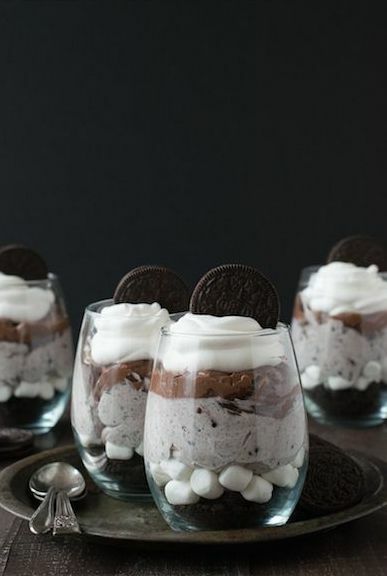 Whip up a big batch and turn it in to a trifle if you are entertaining a large group, or if you want to go the fancy route, make individual sundae glass size parfaits and add a cherry on top. People will think you slogged in the kitchen for hours, when it only took you a few minutes! Genius! Well its berry season after all, so how can strawberries not be on the list? You can bake our own flaky pie crust, but if you are pressed for time, just buy a pre-made graham cracker crust from the store, and it will still work just as well. 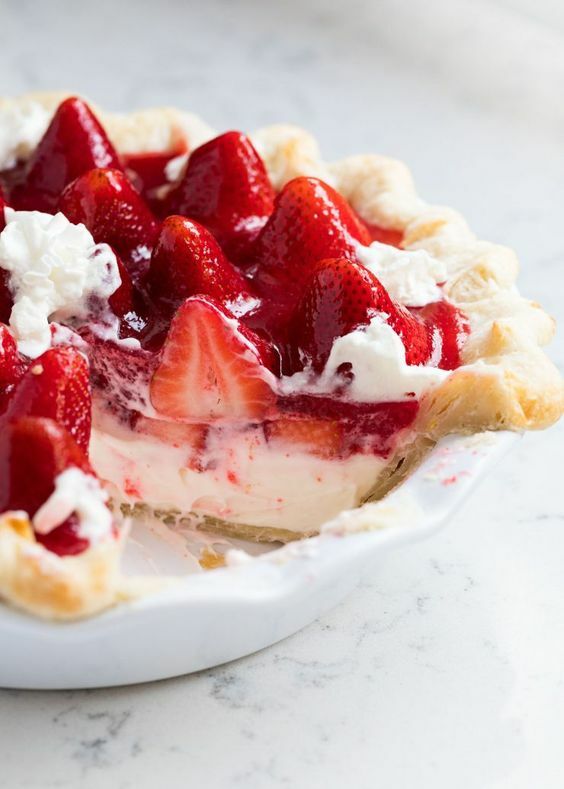 Cut your strawberries in thin slices, arrange them on the pie crust. Dust with some confectioner’s sugar or some whipped cream. Now if you are entertaining guests in Easter, an Easter themed dessert is always a good idea, and these are as adorable as they are tasty. They are good as individual small sweet treats, or as decoration for you star of the show dessert platter. Again there are two routes you can go with this one. If you think you want to put in a bit more effort, you can use a white hued coating and add orange food coloring, till you reach your desired shade of orange. Otherwise, you can just buy orange candy and melt it down to make the coating. Another no bake yet delicious pie. This one is refreshing and a perfect ending to a hearty meal. 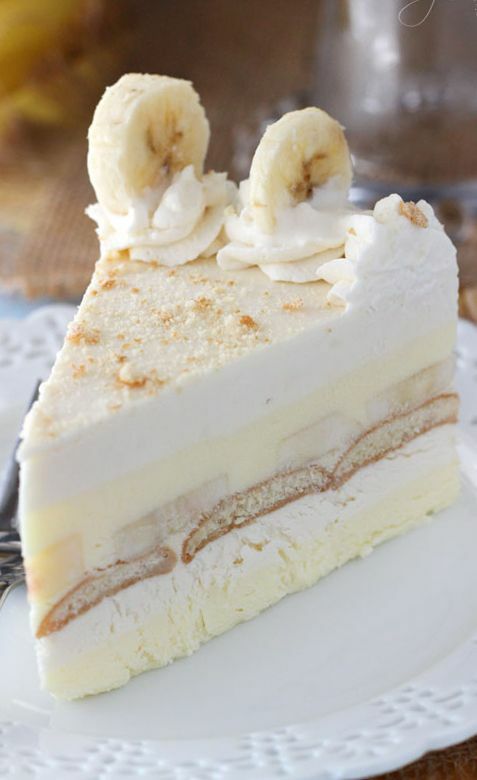 The beauty of this dessert is you can make it several days in advance and store it in the freezer. Take it out twenty minutes before serving, and thaw it at room temperature and serve. Whip some heavy whipping cream, add some lemon juice, freshly squeezed is always best, but store bought will do too. You can also use some lime zest in the filling if you like the texture. Add the filling to the pie crust and chill. 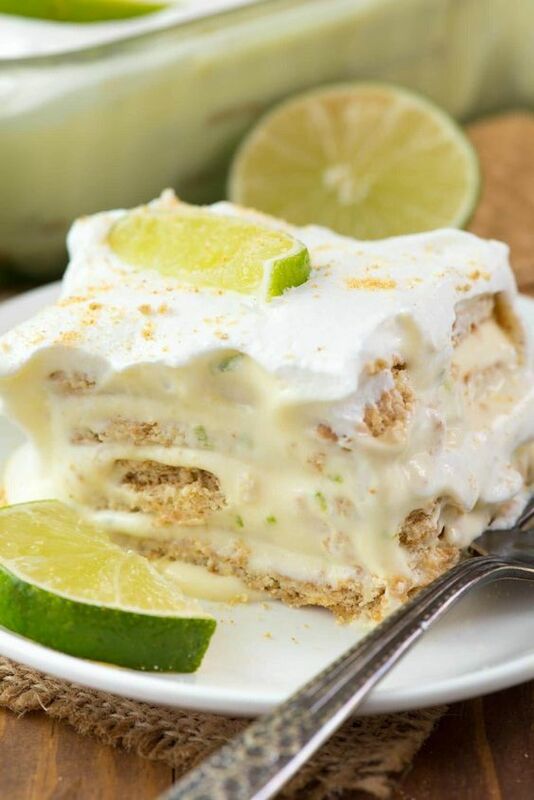 To decorate, pipe small florets of cream on the sides, and add a few fresh lime wedges. 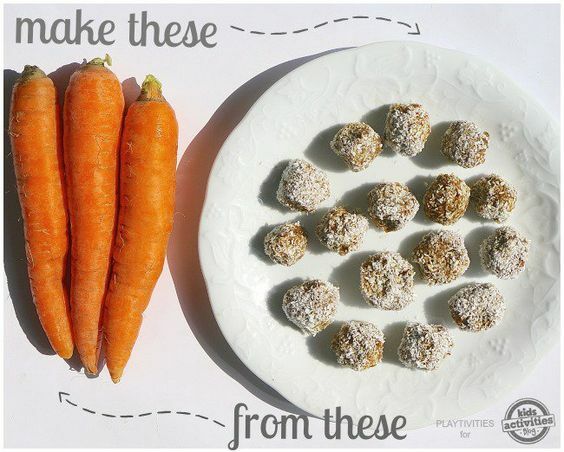 A treat for both the tummy and the eyes! These taste just like raw cookie dough, without the raw egg. This is the usp of this recipe. A few of you might not eat eggs, so this is a recipe you might like to try. Make as you will regular cookie dough, with brown sugar, flour, butter, vanilla, milk, chocolate chips, and walnuts if you want. 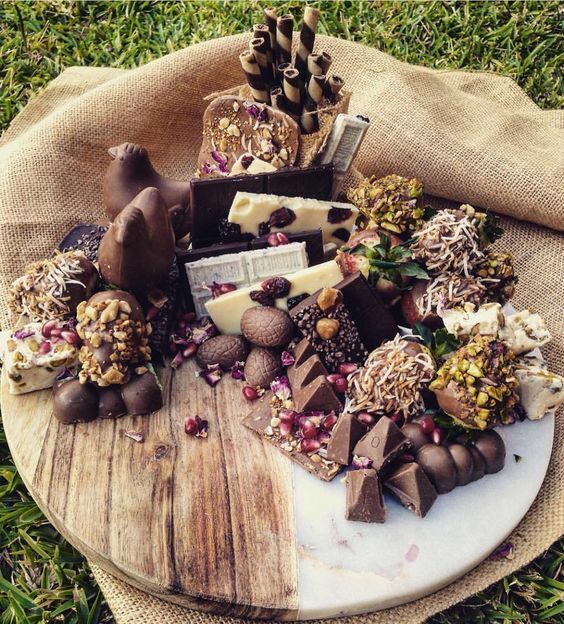 Form equal sized balls, dip in molten but cool, white chocolate or dark chocolate and put them in the fridge to set. Take out and serve when ready. This is as simple as it gets, as all it requires you to do is to buy a few ingredients and arrange it on a platter. Buy different cookies, candies, small pastries or cakes, chocolate covered pretzels, or any other sweets. Arrange them on a nice platter. Your guests will love the idea, and with so many different ideas to choose from, everyone will have something they like. For this all you need is store bought cake along with vanilla waffers and cut them in cubes. Set them aside, and make a decadent banana caramel pudding or custard. Then in a pie crust, put one layer of your cubed cake and waffer and then a layer of your pudding. Continue making layers till you are satisfied with the end results. Top it with some caramel sauce and maybe a few candied almonds, delicious! This one is another one of those adorable Easter recipes. Use some noodles, preferably the chow mein ones, dip them in some melts chocolate chips and arrange as a nest structure. Decorate the nest with small treats and maybe a chocolate bunny, and add chocolate eggs. This one is going to be a favourite amongst the kids for sure! 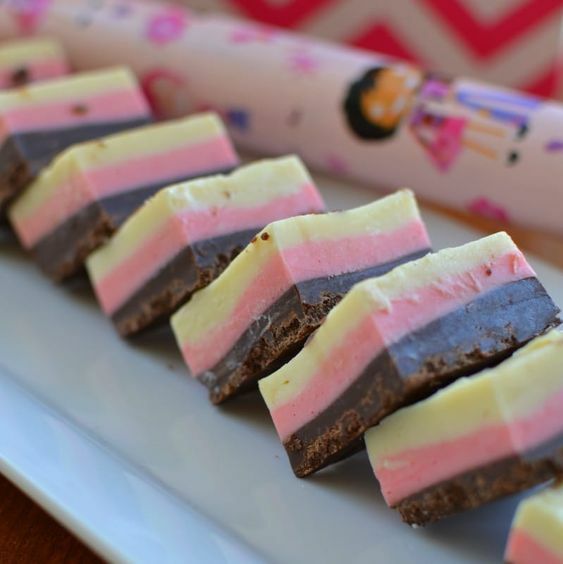 Fudge is by itself an amazing treat, so imagine what kind of masterpiece you will create when you layer three different flavours together- straweberry, chocolate, and vanilla! Make the three fudges, and layer them in a baking oan lined with parchment paper. Make sure to refrigerate in between each layer. Once done layering, pop the whole thing in the fridge, and serve when ready. All you need is peanut butter, powdered sugar, vanilla, and chocolate. Melt the chocolate, and keep aside. Mix all the other ingredients, and for egg shapes, dip in chocolate to make a coating, and done!